The Bien Hoa City Square Amber Court Condominium (Phase 1) project by BLand in Ho Chi Minh City, Vietnam. 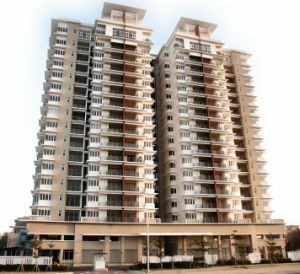 BLand is probably the first Malaysian developer to have delivered completed units to purchasers in Vietnam. BERJAYA Land Bhd (BLand) wants to enlarge its presence in North Asias property markets and plans to make a debut in Japan within one to two years. It is in the design stage of commencing a luxury resort and residential development on a prime site in the ancient capital of Kyoto and is also preparing to undertake an integrated resort development in the island of Okinawa. 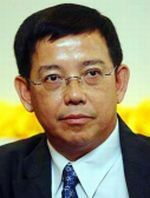 BLand chief executive officer Datuk Francis Ng says in line with the companys expansion into the region, Japan has been identified as an important investment destination with its resilient economy, technological advancements, developed legal framework, and a strong work as well as business culture. Ng says Japan’s proximity to China and South Korea provides synergies and value. We believe Japans proximity to China and South Korea would provide potential synergies and value to our two proposed developments in Japan, Ng tells StarBizWeek. The development in Okinawa would be anchored by a branded luxury resort with a shopping mall, a wellness centre and other commercial component, as well as high-end residences. According to Ng, BLand is seeking to extend its presence and brand both regionally and internationally, and it has invested some RM1.5bil in property development ventures overseas. The expenses are mostly for cost of infrastructure, land acquisition and planning approvals. BLand, the property arm of Berjaya Corp Bhd, also has development projects in Hebei in China, Jeju in South Korea, Ho Chi Minh City and Hanoi in Vietnam. Work is underway in these countries and we are focusing on what we are good at; namely resort and integrated residential and commercial developments featuring villas, condominiums, hotels and serviced residences, retail centres and offices, Ng adds. 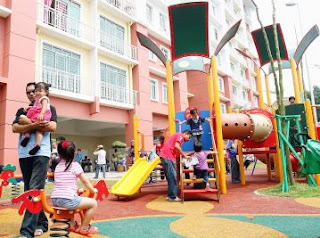 In Vietnam, BLand has completed and handed over condominium units to the purchasers of its two maiden projects, Amber Court Condo in Ho Chi Minh City and Canal Park Condo in Hanoi. This is in spite of the uncertainties and volatility of the Vietnam property market over the last few years. Ng says BLand is probably the first Malaysian developer to have delivered completed units to purchasers in Vietnam. We are proud to be able to share with our buyers, who are mostly young and hardworking, the joy of living in a planned development complete with beautiful landscapes and parks. Going forward, he says the launches will be staggered out according to market demand. In China, BLands 51% owned subsidiary, Berjaya Great Mall of China Co Ltd, is undertaking the development of the Great Mall of China. The balance 49% is owned by Berjaya Group founder Tan Sri Vincent Tan through his private arm, Berjaya Times Square Cayman Ltd. The mall project in Yanjiau city, Hebei province, has a gross floor area of 18.5 million sq ft and is scheduled for completion in 2017. Ng shares his enthusiasm for BLands maiden project in South Korea, Berjaya Jeju Resort, which marks the companys entry into that country. Construction work is set to kick off this October while the sales launch would be in April or May 2013. The project on the honeymoon island of Jeju will be developed into a world-class integrated tourism and recreational destination. He says over RM300mil had been spent on site preparation for the sea-front resort-type residential and commercial development. The infrastructure that include roads, bridges and utility support are already in place. Berjaya Jeju Resort is expected to attract substantial interest from Korean buyers as well as those from China and Japan. Dream project: An artist’s impression of Berjaya Jeju Resort. Among the components will be 1,282 residences including villas and apartments worth a GDV of US$1.5bil; a casino, two hotels, shopping mall, indoor arena and a valley resort and wellness resort. The development is undertaken by Berjaya Jeju Resort Ltd, a 71.2:19:9.8 joint venture between BLand, Jeju Free International City Development Centre (JDC) and an American partner, Swan Street Partners LLP. 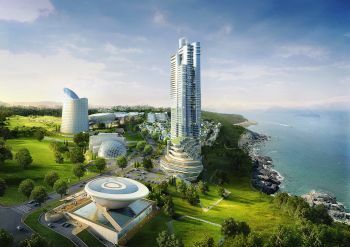 Ng says the development is a strategic investment to BLand as the geographical location of Jeju made it a well-connected city with a potential market of over 750 million people. Jejus free international city status coupled with various tax incentives, such as a five-year corporate tax exemption from the first year of profits, and property tax exemption of 15 years for both Korean and foreign investors, are the primary factors why Jeju is seen as a good investment. The Jeju project is a long term investment for us which will stand us in good stead for other opportunities in South Korea, he adds. Located on 184 acres in Yerae-dong in Seogwipo City in southwest Jeju, the project has an estimated gross development value (GDV) of US$3.5bil. Among the components will be 1,282 residences including villas and apartments worth a GDV of US$1.5bil; a casino, two hotels, shopping mall, indoor arena and a valley resort and wellness resort. BLand senior general manager for properties marketing Mah Siew Wan says there is no restriction on foreign buyers to purchase property in Jeju and the target buyers are the South Koreans, Chinese, Japanese and Taiwanese. Our immediate target buyers are of course the Koreans, especially those from Seoul. It is said that it is every Koreans dream to own a home on Jeju island, Mah adds. South Korea has a population of more than 70 million, of which 560,000 are residents in Jeju. The first phase of the development will comprise the Maision villas and market block. It was initially planned for launch in the first quarter of 2011 but had been delayed because of the global financial crisis and soft property market. We reassessed the situation and revised the plan and strategies to suit the changing market trend. We are now ready to launch the project, she says. Meanwhile, Blands hospitality division is also spreading its wings in the international arena, and has 16 properties in Malaysia, London, Singapore, the Philippines, Seychelles, Sri Lanka and Vietnam. Ng says going offshore offers an ideal opportunity for BLand to market its hospitality and property offerings to a global audience. In this highly competitive market, developers have to put extra efforts to get the attention of property investors who look for good buys beyond their home markets. Many have gone international, not just in terms of the location of the projects, but also with the buyers they are hoping to attract. He adds that before venturing overseas, BLand adopts a stringent selection approach which explains why its portfolio of offshore projects comprises only prime and attractive properties that can find ready rental and sales. Property buyers all over the world are becoming increasingly global in their appetite for investments. The wealthy in Asia such as those from China, Indonesia and Malaysia, have been snapping up properties in Australia, Singapore and London. We spend time and efforts to study the market, and then plan and design to cater to their needs. The idea is to be familiar with trends and preferences of the property buyers; such as the average sizes of homes, the lifestyles of families, and the typical layouts. We need to learn these specific needs in order to do well in any country, Ng explains. In my last article, I touched on two reports that offered a very positive outlook for the property market in Malaysia and its neighbours in this region. According to the Malaysian Property Market Report 2011, the property sector recorded a significant growth in the five preceding years, and the value of property transacted and the number of transactions also rose substantially in 2011, compared with the previous year. And according to the Asia Property Market Sentiment Report 2012, Malaysians were generally quite positive about the property market, with more than half expressing a desire to acquire new property in the next six to 12 months. Sadly, these upbeat sentiments could all change as a result of recent events and some prevailing conditions if they are allowed to continue unabated. The most recent is, of course, the Bersih 3.0 rally and the ensuing violence that have certainly raised a lot of concerns, at the very least, about conditions in this country. It may still be too soon to realise the full impact of the April 28 event. Nevertheless, the experience of our northern neighbour should give us some invaluable lessons on how a prolonged open show of dissent and how the authorities deal with such incidents can have an adverse impact. The Red Shirts and Yellow Shirts rallies that brought Bangkok to a standstill for months in 2010 and which eventually caused the downfall of Prime Minister Abhisit Vejjajiva, should offer some invaluable insights. Of course we have to concede that the Bersih 3.0 rally was on a much smaller scale, and it lasted only for a day, so the effects would be dramatically different. But incidents such as Bersih and the Anti-Lynas protest also bring to light how people power causes can sometimes be hijacked and be diverted from the real issue. In the property sector, for instance, it is not uncommon to see groups banding together to object to one thing or another in an upcoming project even if all conditions are met. Things are aggravated further by a lack of clear-cut guidelines on what is and is not allowed in a project. When guidelines are not clear, city or local council officials are inclined to make decisions based on political expediency. In such instances, investors or developers usually end up with the short end of the stick. Then there is the personal safety issue. A day before Bersih, 12-year-old schoolboy Nayati Shamelin Moodliar was abducted while he was walking to school from his home in Mont Kiara, Kuala Lumpur. Thankfully, the boy was released unharmed just over a week later upon payment of a ransom. All the same, the incident has certainly raised concerns about the level of security in the Mont Kiara area. Indeed, the police may tout facts and figures on how much the crime index has dropped over the years, and how safe the streets are now. But the reality is that parents are still worried and anxious about letting their children out of the house, and out of sight. Another urban centre where personal security is an issue is Johor Baru. We may not like it that the Singaporeans complaint about rampant carjacking when they visit Johor, but we cannot deny that these things happen. Apart from these, we are constantly being tested by natural disasters that rock this region. While Malaysia is not located in the Ring of Fire, the 2004 tsunami and occasional tremors only show that we are not exactly a safe distance from a major disaster. Then, there are the man-made calamities floods and landslides caused by irresponsible and uncontrolled interference in the natural landscape. What, you may wonder, do all these have to do with property' Put simply, disturbances of any kind public show of dissent, criminal activities or natural disasters are not good for the economy and, by extension, for the property market. As mentioned earlier, we have done fairly well over the past few years. The economy has been growing at a steady pace, and property was selling well. Many homebuyers have seen their investments record substantial increases in value in the secondary market, and are still looking forward to bigger gains. However, this feel-good factor can very easily be reversed by any number of developments groups taking the law into their own hands, street crimes, another big natural disaster or worse a man-made calamity. Value, location and design are no longer the only considerations when we look for a new home to buy. The security situation has also become a prime consideration. We also now have to check if our new home is located in a flood-prone area, or if we are likely to feel an earth tremor. The property sector is already facing so many challenges. Recently, Bank Negara introduced stricter lending guidelines that substantially reduced the quantum of loan an individual could qualify for. That essentially means that fewer people will be able to get loans and among those who still qualify, the amount they can get will be much lower. The impact will be significant and it may take some time before the market adjusts to the new lending regiment. At the same time, costs to the developer continue to rise. Land prices, particularly in urban areas, are going up. The cost of building materials have been increasing over the past few years and is expected to rise further. The cost of labour has also risen. Anymore uncertainty in the political front, or concerns about personal safety, will only make things worse. We cannot afford to continue on this road. 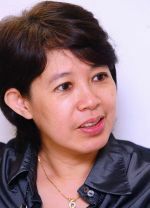 Teh Lip Kim is the MD of SDB Properties Sdn Bhd, a lifestyle property company. Bouquets and brickbats are welcomed. Send by e-mail to md@sdb.com.my. KUALA LUMPUR: UEM Land Holdings Bhds Nusajaya development emerged as the winner in the Master Plan Category at the prestigious Fiabci Prix dExcellence Awards 2012. The award was received by UEM Lands managing director and CEO, Datuk Wan Abdullah Wan Ibrahim, at a presentation ceremony in St Petersburg, Russia, the company said in a statement. We are honoured with achieving this accolade from a renowned world body like Fiabci for our new regional city Nusajaya. As the master developer of Nusajaya, we are proud that Nusajaya is presented with this international recognition as we continue to push forward and realise its signature and catalytic developments, Wan Abdullah said in a statement. Aptly, 2012 sets the stage for Nusajaya to achieve its tipping point where the splendour of its diverse signature developments will unfold. Nusajaya was conceptualised to be a self-sustaining city that was conducive for business, living and leisure, it said. Its unicity was manifested in the diverse yet complementary signature projects and catalytic developments in seven key sectors government, residential, commercial, industrial, leisure, health & wellness, and education, the statement said. The Fiabci award recognises projects that best embody excellence in all real estate disciplines involved in their creation. Winning projects are judged based on a set of criterias which include architecture, development, environmental impact, financials and marketing and are selected by an international panel of real estate professionals and experts. Last October, Nusajaya was also named the Best Master Plan at the Fiabci Malaysia Property Award 2011. There have been quite a number of cases when open parks and fields have been turned over for development purposes; a move that usually invite protests from the local residents. LOOKING around our housing estates, work and recreation spaces, I believe many of us must have a wish list of things for a better living, work/study and recreational environment. Although headway has been made in the residential arena with more practical and creative designs and concepts (depending on who the developers are), more value-adding initiatives are still needed in our work place and recreational facilities. Im sure many of us have noticed there are quite a number of office buildings in some zones of Kuala Lumpur that are built up to the maximum plot ratio and are too close to the pedestrian walkways and roads. A high percentage of the built-up space has been sold which explain why the buildings dont have enough parking spaces for the office workers and visitors. Allowing such building designs will further exacerbate the severe parking space shortage in the city. During the construction of these buildings, the presence of the many tractors, cranes and fork lifts so close to the roads pose a threat to pedestrians and other road users. To prevent any untoward incident, the local authorities should ensure that all new buildings maintain a safe distance from the walkways and roads. Given their role as the governing authority for land matters and project plans, local authorities that include district and municipal councils, play a highly crucial role in determining the well-being of the local communities and in how the areas that come under their administration fare. Despite being one of the non glamourous public bodies with their placing in the lower rank of the public administration order, the local authorities are actually important institutions at the local level and the guardian of public property and facilities. Among their traditional duties are the provision and upkeep of public health and sanitation, general maintenance functions of infrastructure and public facilities, as well as overseeing all land and development matters. Thats why grouses over clogged drains, poor garbage management, potholes and floods, to town planning matters, environmental protection, building control, and issuance of certificate of fitness for occupation, come under their purview. Being the authority that is closest to the people, their performance has a direct and immediate impact on the peoples daily lives. Their efficiency or inefficiency in discharging duties will affect the public and rate payers in many ways. That could explain why the local councils are the recipients of a fair number of letters to the editors to newspapers. With the many developments going on around us and an expanding population, there is a need for the local authorities to be more proactive and act as the catalyst of change and progress in their areas. They should not just uphold their traditional roles but be effective thinkers and implementors of plans for social and economic development in their areas. They must act fast and efficiently at all times, and must also have the foresight and initiative to undertake preventive measures to resolve some of the lingering social and community problems in the long run. Instead of signing over public parks, lakes and open spaces for development purposes, the local authorities should act as the guardian of these public spaces and wherever possible undertake enhancement efforts to further add value to these facilities. Local authorities should also promote best industry practices in building designs and development planning practices for more environmental friendly designs and healthier living environment. To prevent over building and congestion, plot ratio of building projects should be strictly adhered to. This is so that the infrastructure, utilities and amenities are not strained. Our local authorities can take a leaf from their counterparts in the more developed countries such as South Korea and Japan with well structured and transparent practices in building matters. Over there, fair trade practices are standard operating procedures for all industry players where even the sale of property has to abide by the balloting process; and strict building design guidelines have to be followed even on matters concerning the amount of lighting to a building and natural ventilation. Deputy news editor Angie Ng hopes shopping complex owners will set aside space for a library and garden which although non-revenue generating, will be much appreciated. LONDON(Reuters): When Hong Kong businessman Mr. He paid a 35,000 pound ($56,000) deposit on a four-bedroom apartment in Britain, he believed it was a 40-minute walk from central London, his lawyer says. In fact it was a 40-minute journey by high-speed train. The 350,000 pound home was in Lincolnshire, eastern England. He sued the developer for misrepresentation last year, getting his money back before the case got to court in what his lawyer told Reuters was an attempt by the developer to avoid its marketing material being splashed around a courtroom. His experience shows the potential pitfalls facing a growing number of Far Eastern people buying British homes unseen as developers target places such as Hong Kong, Shanghai and Singapore because British buyers are struggling to get mortgages. "It is a matter of developers saying: 'Here are some people who are likely to be interested. They probably do not know too much about the market, so why don't we advertise there'," said David Eldon, former chairman of HSBC's Asia unit who has witnessed the practice during two decades in Hong Kong. "I think they are being a little economical with the truth," he told Reuters, saying properties could be sold for higher prices in the Far East. Major developers including Barratt, Taylor Wimpey and Berkeley have stepped up efforts to court cash-rich Far Eastern buyers since 2009 after the global financial crisis sapped demand at home. Developers do not all use exactly the same marketing methods. Berkeley said it had had many repeat purchases from Asian buyers over 20 years, although it acknowledged a mistake in one of its press releases. Taylor Wimpey said it offered a high level of service to all customers. Barratt declined to comment. The number of Chinese and Pacific Asian buyers of the best quality newly built London homes jumped to 37 percent in 2010 from four percent in 2009, data from property consultancy Savills showed. The majority purchase for investment and are used to buying off-plan - before the home is built. Mr. He was told his flat was 40 minutes from central London at a face-to-face meeting with the developer, said David Linklater, head of litigation at law firm Alan Broadhurst, who represented He. Broadhurst declined to give his client's full name or the developer's identity. "Lots of people go to the fairs in Hong Kong and get a sheet of paper with a picture of Big Ben. You think you are going to be the Queen's neighbour when actually the Queen has a great big garden with a big wall around it," said Linklater, who deals with 20-30 unhappy overseas buyers a year. Sold at exhibitions in plush hotels, many properties are not in the most desirable London neighbourhoods despite the prominent pictures of Harrods or Buckingham Palace. Details of exact locations tend to be omitted rather than inaccurate. "There is a lot of embellishment going on working off the naivety of the Chinese buyer," said James Moss, managing director of property consultancy Curzon Investment Property. A brochure advertising 375 Kensington High Street, a luxury London scheme marketed in the Far East and developed by a Berkeley joint venture alludes to the proximity of the High Street Kensington underground station in a brochure entitled "London's most sought after new address". The station, which is at the heart of one of London's most popular shopping districts, is a 15-20 minute walk away while the flats are at the scruffier end of the same long street and closer to two other tube stations. In a press release issued in Hong Kong on Friday, the development was described as "a short walk from the luxury shopping available at Harrods". The world-famous store is a 50-minute walk according to the Transport for London website. "To an unsuspecting buyer, you think wow, it is amazing, but actually it is the wrong end of Kensington High Street, right next to Kensington Olympia," said Camilla Dell, managing partner at Black Brick Property Solutions, which helps overseas buyers find London homes. A Berkeley spokesman said the "short walk" description was "an error". "We have had a lot of customers from Asia over the last 20 years, many of whom are repeat purchasers," he said. "It (the development) has excellent transport links and easy access to well-known shops; the distances to which are clearly marked in our brochure. In addition, by far the majority of buyers have or will visit our developments before buying." Ingrid Skinner, managing director of Taylor Wimpey Central London, said: "Buyers need to be able to trust the company they are buying from. At Taylor Wimpey we offer the same high level of service to all of our customers." The ballrooms of Hong Kong's luxury hotels hold property shows nearly every weekend. The city's two Mandarin Oriental hotels are particularly popular. At one event attended by Reuters on Friday, prospective buyers were offered San Pellegrino bottled water, chocolate cupcakes and a choice of finger sandwiches. An HSBC banker was on hand to help with financing and a lawyer in case a purchaser was ready to sign. Buyers can feel the pressure. Judith, a native of Zhejiang in China who lives in London and declined to give her full name, said her father paid the deposit on six off-plan flats in Colindale, north London, at a Shanghai exhibition a year ago despite the fact she warned him about its remote location. "The moment my father sat down, the agent wanted him to pay a reservation fee. Once he showed that he liked them, they said he had to pay the fee or someone else would snap them up," she said. They are in a legal dispute with the agent in an attempt to recover 24,000 pounds, claiming they were sold the properties on the basis they could be converted into nine units, which they subsequently discovered was not possible. "The developer and agent are not obliged to educate the buyers, it is down to the buyers to educate themselves," said Ken Xiao, president of Chinese Property Professionals Society in London. "Of course the agents will try to show the shiny side because they are trying to sell the property." There may be little legal recourse. Those buying new homes as an investment are not protected under the National House Building Council's consumer code as opposed to those looking to occupy them, a spokeswoman for the watchdog told Reuters. Estate agents said overseas buyers of property as an investment were at risk of getting lower-than-expected returns as the mass marketing of the homes at events meant many landlords would likely have to vie for tenants all at once, pushing rents down, Dell said. "I have yet to see a development where the rents have exceeded the advertised rent," said Ashley Jones, managing director at London-based estate agent Barclay Residential. "I cannot see all of this having a happy ending." Unhappy group: Residents are protesting against the development in front of the newly-completed block of shophouses. PALM Grove residents are unhappy with the Klang Municipal Council for approving a mega project, including two hotels and a mall near Taman Palm Grove in Klang. The IGateway project occupies a 6ha site in Taman Datuk Abdul Hamid, which is separated from Palm Grove by two service roads, Lebuh Turi and Lebuh Siput. Palm Grove Rukun Tetangga chairman S. Kanapathy said the mega project was launched 15 years ago but was later abandoned. “A new developer, Legenda Erajuta Sdn Bhd, took over in recent years and is also completing two abandoned three-storey shophouses in Lebuh Turi. 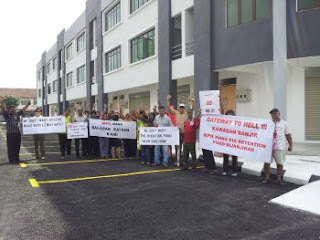 “Legenda Erajuta is also busy selling its retail outlets which are due for completion in two years,” he said during a protest held by the residents. Kanapathy said the area had also been hit by frequent flash floods due to the construction of the shophouses. He said although the shophouses had been completed there was no access road and separate drainage. “When the mega project is completed we are sure to face a lot of problems, including traffic congestion. The mega project will rob us of the serenity of this peaceful housing estate,” he said. KUALA LUMPUR: Shangri-La Hotels (Malaysia) Bhd expects overall performance to improve this year as it completes the renovation of one of its hotels and expands its stable. Shangri-La's profits slipped in 2011 as renovation at its second-best performing hotel Rasa Ria Resort in Sabah led to a sharp drop in occupancy. Coupled with a lower occupancy and contribution from UBN Tower, the group posted RM60.56 million net profit on the back of RM429.73 million revenue. Its net profit in 2010 was RM69.9 million. The renovation of Rasa Ria began in March 2011 and will be completed this month. It will see all the newly-renovated rooms back in the market in the second half of the year. "The year will be better as Shangri-La KL's performance is going up and we will have Rasa Ria back," managing director Kuok Oon Kwong told reporters following the company's annual general meeting yesterday. Shangri-La Hotel Kuala Lumpur will continue to be the group's best performer. Last year, it contributed RM161.87 million towards group revenue and a pre-tax profit of RM32.35 million. Later this year, a Shangri-La-managed Traders Hotel will open in Puteri Harbour, Johor Baru. The opening of several amusement and theme parks including Legoland, Hello Kitty Town, Little Big Club and a Lat-themed restaurant from September should augur well for the hotel. In 2010, Shangri-La signed a heads of agreement with Teluk Datai Resorts Sdn Bhd (TDR) to form a 49:51 per cent joint venture to develop the resort. Khazanah Nasional Bhd has an indirect 70 per cent stake in TDR. The resort development in Langkawi is conditional upon Shangri-La taking up a 20 per cent stake in Traders Hotel Puteri Harbour. "We are still going through the legalities," Kuok said of the status of it taking the stake in Traders Hotel. As for the Langkawi hotel, she said no agreement has been signed and expects that the earliest the hotel will be ready will be within the next three to four years. Meanwhile, Kuok expects its hotel in Kuala Lumpur to feel an impact after the opening of the 412-room Grand Hyatt Kuala Lumpur in mid-2012. "There is bound to be some impact on all hotels and not just us when new rooms are added into the market," she said, adding that this is assuming the market does not grow. Kuok said that there has been no scheduled renovation. Over the past few years the group embarked on a complete makeover of the Rasa Sayang Resort and renovated the Golden Sands Resort, both in Penang. It also renovated Shangri-La Kuala Lumpur and, most recently, Rasa Ria.